DONNOSANTO RESIDENCE is located a few steps from the enchanting Adriatic coast, which finds its point of diamond in the oasis of "Torre Guaceto". The residence with its Mediterranean-style modern architecture is characterized by two-roomed and three-room apartments also available for skilled diversions and double bedrooms on the ground floor and double and triple attic with sea view. All furnished with elegance and taste. The DONNOSANTO RESIDENCE is located a few steps from the enchanting Adriatic coast, which finds its point of diamond in the Torre Guaceto Nature Reserve. 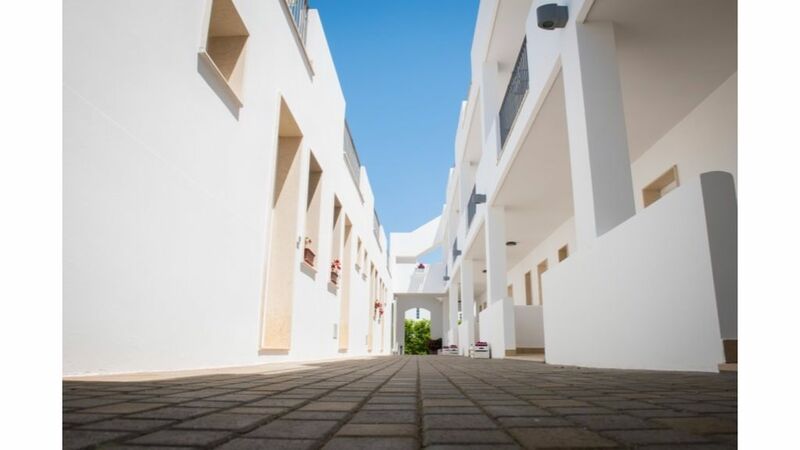 The residence with its Mediterranean-style modern architecture is characterized by two-roomed and three-room apartments (formula residence) available for disabled and double or triple rooms (formula B & B) on the ground floor and attic with sea view. The residence formula offers two-room apartments with living / dining area with sofa / bed and kitchenette, double bedroom and bathroom. Different for this typology are the three-room apartments that have an extra bedroom with 2 single beds. The B & B formula offers double rooms with breakfast and daily refreshments with change of bed linen and towels. All of the typologies described have autonomous air conditioning in each room, personal safe box, LCD television, hairdryer, toiletries and bed linen and towels. Around us you can admire the beautiful landscapes of Apulian territory and enjoy the culinary treasures of restaurants and farms. Within walking distance you will be able to visit some of the most beautiful and characteristic centers of Apulia as Alberobello, Ostuni, Martina Franca, Cisternino, Lecce and the Caves of Castellana. From us you will find all the ingredients to make your vacation unforgettable!